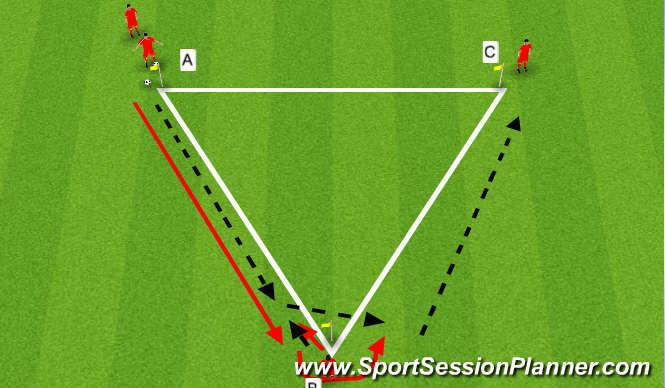 Set Up: Three flags at a corner of a triangle ( 15y x 15 x15 ) Four to Five players per group. Description: Player A pasesse to Player B who has checked in to recieve. Player B passes back short to an on-coming player A. Player B then opens up around the outside of flag and gets a return ball from Player A. Player B then passes to Player C and the sequence continues.